The Standards and Performance Committee acts as a governing body for the Academy. As a Trust we also have a Board of Trustees who have ultimate authority over all of our Academies. WBCA will be putting together the full SPC over the first few months of operation and there are opportunities to get involved in the running of the Academy. The Standards and Performance Committee will be responsible for monitoring and reviewing the operational day-to-day running of the Academy. In addition to this, it will act as a consultative body for the main Board. The membership of the Committee will be agreed on an annual basis. The CEO or his representative is not a committee member but will act in an advisory capacity to this committee as necessary. Rajkiran graduated from Aston University in 2001 with a Masters degree in Work Psychology and Business. She has worked for the Department for Education for 10 years as both a research and senior research officer. In her time with the Department her work has focussed on issues to support children and families from the early years to adolescence. Previously she has managed and published research and evaluation studies of a value up to £1.5m, undertaking research reviews and liaising with external research organisations. She has often been a key member of designated “task and finish teams” undertaking rapid evidence reviews or assessing bid applications under tight timeframes. 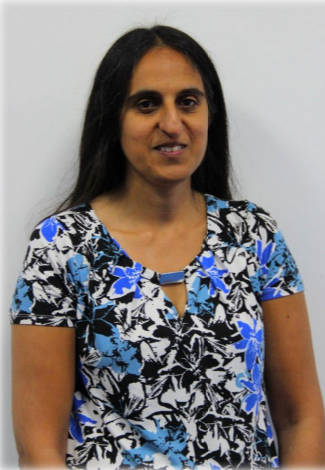 Rajkiran is interested in recruitment, training and development, the provision for special needs and gifted children and provision for carers’ education. I am honoured and delighted to be the Chair of the Standards and Performance Committee at West Bromwich Collegiate Academy. The relationship between Head Teacher, this committee, and myself as Chair, is a crucially important one based on mutual respect and trust. Having previously worked for the Department for Education for 10 years, I fully understand and appreciate the importance of creating a high quality learning environment, one that all children, regardless of their personal circumstances, ought to have access to. I will do my upmost to work in partnership with the Head Teacher, staff, pupils and parents to ensure that the children who attend this school receive the best possible education they can whilst they are in our care. Enabling them to achieve their maximum potential and to become well rounded individuals of the future. I am fully committed to ensuring that the highest standards of education are upheld and maintained by providing appropriate challenge were necessary. Please do get in touch if you have anything to discuss.